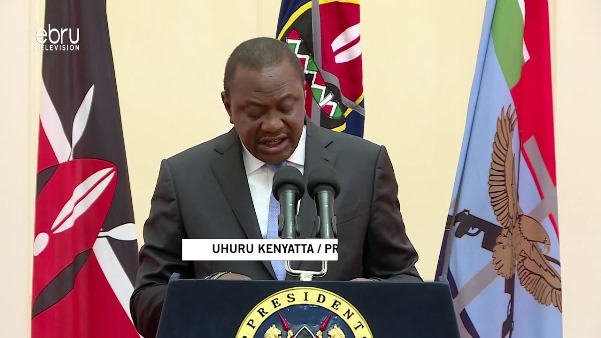 President Uhuru Kenyatta on Tuesday signed into law the supplementary appropriation bill, entrenching austerity measures that will guide government expenditure for the financial year ending 30th June 2019. The law mandates the National Treasury to issue 47 billion shillings ($464 million) from the Consolidated Fund for the provision of various public services. The allocations in the new law reflect a significant reduction from what was allocated in the last financial year, which is in line with the ongoing austerity measures aimed at cutting down government expenditure. The State Department of Housing which is steering the affordable housing pillar is one of the key beneficiaries of the new law having been allocated 21 billion shillings ($207 million). The State Department of Public Works and the Judiciary were allocated1.9 billion shillings ($19 million) and 1.5 billion shillings ($15 million) respectively. The bill signed by Kenyatta in Nairobi also allocates 2 billion shillings ($20 million) to the State Department of Tourism for promotion programmes while the State Department of Wildlife has been assigned 873 million shillings ($8.7 million), among others.